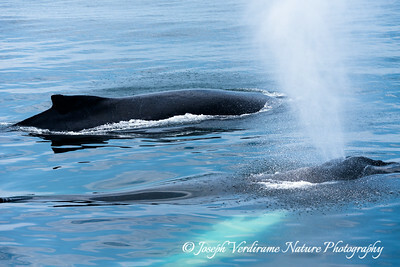 This gallery is for marine wildlife I've enjoyed observing along the Pacific and Atlantic coasts of North America. 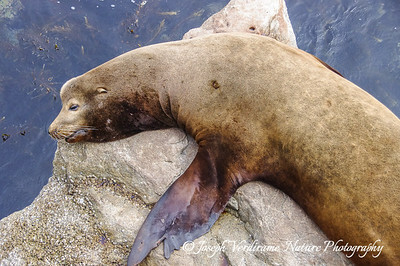 Just another lazy day in August in the life of this California Sea Lion on the coast of Monterey, California. 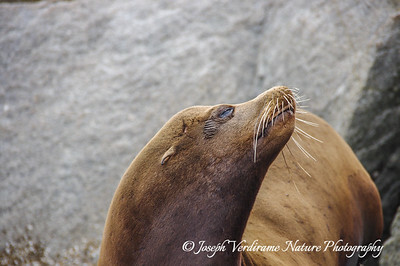 Blame the photographer, who snapped the photo when this Sea Lion had its eyes shut! 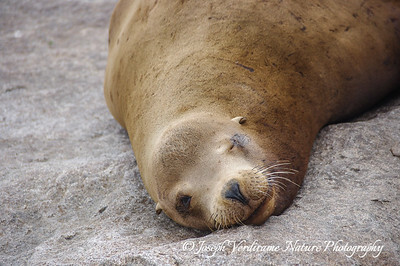 This sleepy-eyed Sea Lion didn't seem to mind posing for me as it rested along the shore of Monterey, California. 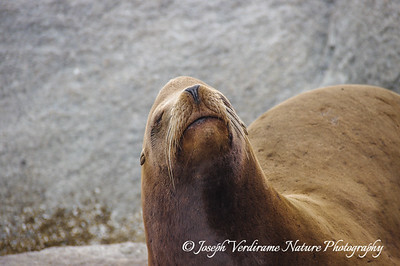 This sea lion was keeping one eye open and fixed on me while resting! 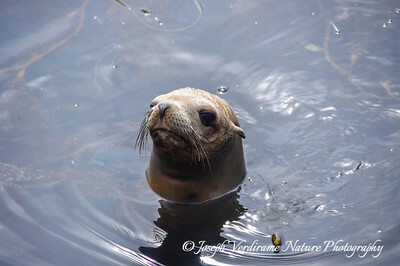 This curious sea lion pup struck an endearing pose for me along the coast of Monterey, California. Sea lions, like seal, may fall victim to shark attacks when in the water. 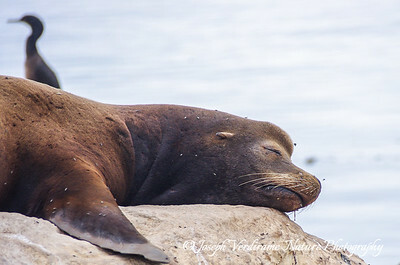 Therefore, they relish the opportunity to escape predators by resting on the shore, such as this male in Monterey, California. 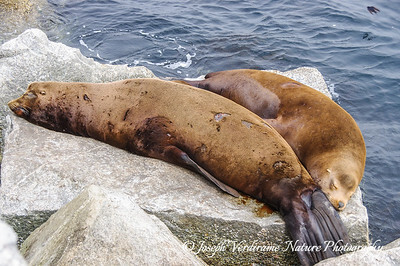 This pair of sea lions seem so peaceful as they rest together. 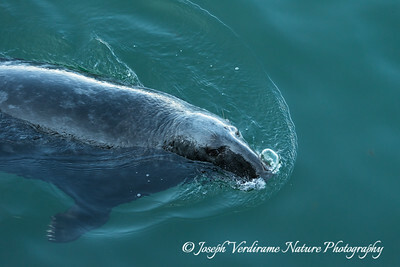 A closer look reveals that the male seems to have endured some recent violence, as evidenced by the scars and bleeding. I wondered if this was due to fighting with other males, or perhaps a shark attack. 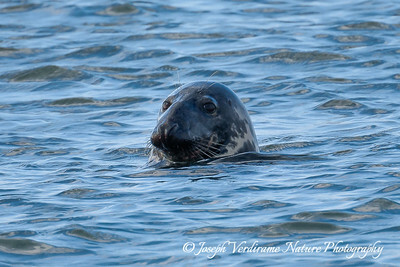 This Grey Seal was extremely curious and kept its eye on me as I strolled along High Head Beach on Cape Cod. 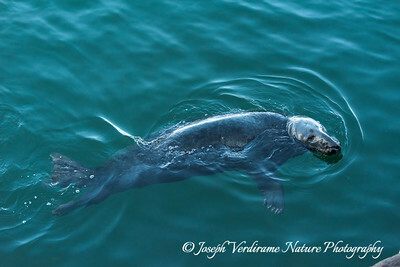 The Grey Seal, seen here off the coast of Cape Cod, Massachusetts, is a large seal found on both coasts of the North Atlantic Ocean. Males can weigh up to 680 kg. 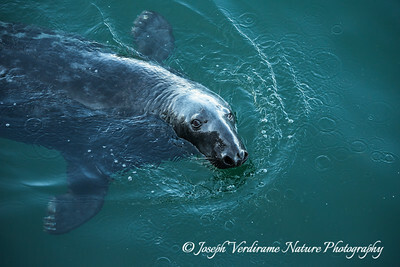 This Grey Seal off the coast of Cape Cod, Massachusetts, looks curious but is probably looking for handouts! Grey Seals must always be wary of predators, primarily sharks. In recent years there has been an increase in the number of Great White Sharks found off the coast of New England, and particularly the Cape Cod area, resulting in more frequent predation on this seal. 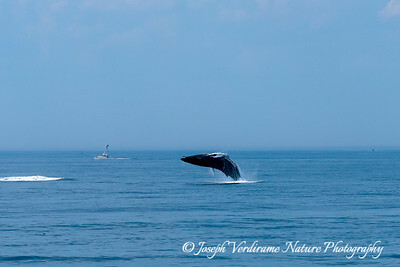 Occasionally one is fortunate enough to observe a magnificent whale breaching, like this humpback near Cape Cod. Australian researchers have recently determined that breaching is used as a form of long-distance communication, as the loud noise it produces carries farther than sounds whales can emit! 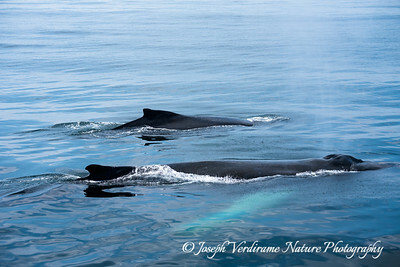 These humpbacks near Cape Cod have just surfaced to breathe. Having just taken a breath, these two are preparing to dive again. 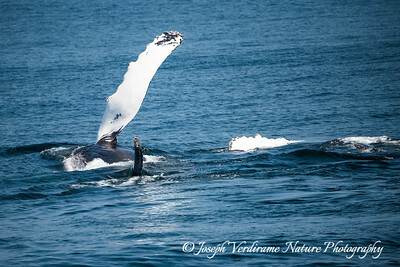 This humpback's massive flipper is raised high into the air as it rolls over. Barnacles can also be seen at the tip of its tail. 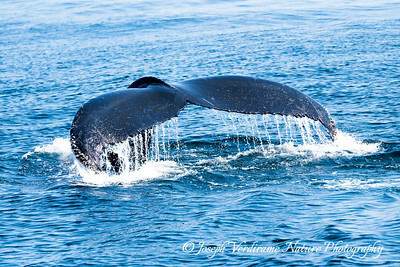 A humpback whale in Cape Cod begins to raise its tail out of the water as it dives. 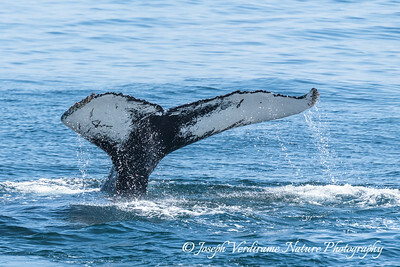 Marine biologists can recognize individual whales by the distinctive pattern visible on the underside of the tail. 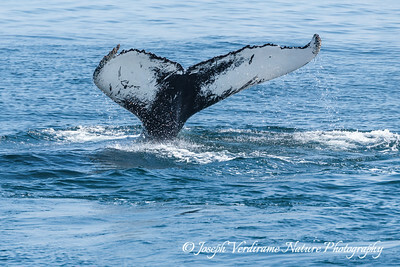 Barnacles which attach themselves to the body of a whale are clearly visible during a tail fluke.